I don't know if it's my age, but this year I have really appreciated how beautiful nature can be this autumn. I've really opened my eyes as I've been taking the children to school or walking the dog and really taken the time to appreciate the colours of the season. If you follow North East Family Fun over on instagram you will have noticed my snaps have taken on a very autumnal theme. I think this time of year is the perfect time to get outside with the family and enjoy some fresh air. The fact that the weather is a little cooler really is no excuse! Here are my top 5 outdoor autumn activities. The forestry commission has created over 20 Superworm trails in forests around the UK. Suitable for ages 3-8 years they are a wonderful way to get outside, spot some of your favourite characters and take part in activities. You can even download a free activity sheet to take with you. It's always exciting to try something new together as a family and try a new experience such as horse riding, staying overnight in a treehouse or wigwam or even setting a family challenge such as climbing the O2 together. The beach isn't just for summer. Autumn is actually a wonderful time to visit. Beaches are often less crowded in the colder months and the whole family will benefit from the fresh air. We have set a new family project to collect sea glass from every beach we visit and collect in a kilner jar and are keen to get started this month. The Woodland Trust website is full of exciting ideas for exploring your local woods. There are 72 activity ideas to try in autumn for every age group including Fungi ID sheets, nature trails, stick weaving tutorials and a blackberry tea recipe. We enjoyed a treasure trail around Corbridge last Summer and thought it was a fantastic way to explore a new town or somewhere local. There are over 1000 trails to choose from on the treasure trail website including 27 trails to try here in the North East. We are staying on the West coast of Scotland this half term and have already ordered our trail to complete on our first day which will help us get our bearings. Autumn is definitely a wonderful time to explore the great outdoors. Please let me know your favourite outdoor activities at this time of year. There are some great ideas here. I'm lucky enough to live on the coast. We have some gorgeous sandy beaches but weirdly we rarely go, probably because it's always there. I must make a point of taking the kids down there. These are all great and fun activities. I love walking along the beach - too bad it's about two hours away from where I live. That being said, we have wonderfulf orestry right where I live. I would totally be up for tracking down the Gruffalo that sounds like such fun! These sounds like a lot of fun. I need spots like this around me. Similar to others, I must say, I also wish I had an opportunity to do this kind of activities outdoors. I also cant stand cold, for me, 15 degrees is veryyyy cold so I guess the only activity I can provide myself this autumn is a walk to jacuzzi and swimming pool 15 mins from my house. Aww this is a nice post. I need to do more outdoor activities! 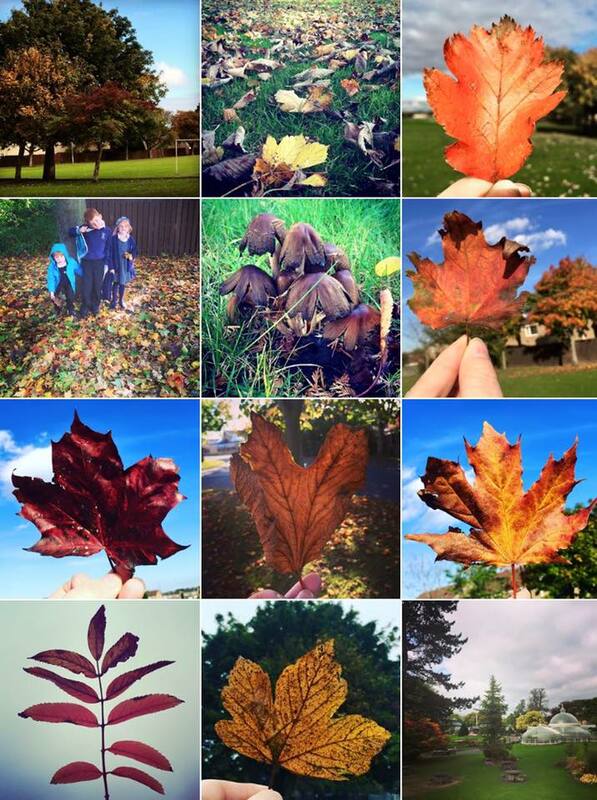 Autumn really is a beautiful season, love your photos. I do love Autumn especially being out in the woods - we've done a few of the trails but those activities will come in really handy as well.